These are FREE drop-in support meetings to help support families that are using Floortime with their children. Parenting a child with developmental differences can be challenging for some parents, but it offers many opportunities for joy and love all the same. Daria Brown from Affect Autism will lead these sessions. Daria is a parent and holds an Advanced Certificate in DIRFloortime. Come to one or come to all…it is up to you. Start at any point. We are here for you when you need the support, guidance, or just to share stories and experiences. Meetings are Mondays 1:00 – 2:00PM US Eastern Time on the following Mondays: April 29, May 13, June 3, 10, and July 8, 15, 22, and 29. These meetings are open to parents from anywhere around the world! These are FREE drop-in support meetings to help support families that are using Floortime with their children. Parenting a child with developmental differences can be challenging for some parents, but it offers many opportunities for joy and love all the same. Daria Brown from Affect Autism will lead these sessions. Daria is a parent and holds an Advanced Certificate in DIRFloortime. Come to one or come to all…it is up to you. Start at any point. We are here for you when you need the support, guidance, or just to share stories and experiences. Meetings are Mondays 1:00 – 2:00PM US Eastern Time the 2nd and 4th Monday of the month: January 14, 28, February 11, 25, March 11, 25, and April 8. These meetings are open to parents from anywhere around the world! These are FREE drop-in support meetings to help support families that are using Floortime with their children. Parenting a child with developmental differences can be challenging for some parents, but it offers many opportunities for joy and love all the same. Daria Brown from Affect Autism will lead these sessions. Daria is a parent and holds an Advanced Certificate in DIRFloortime. Come to one or come to all…it is up to you. Start at any point. We are here for you when you need the support, guidance, or just to share stories and experiences. Meetings are Mondays 1:00 – 2:00PM US Eastern Time on September 10, 24, October 15, 22, November 5, 19, December 10 and 17. These meetings are open to parents from anywhere around the world! This is an introductory course specifically designed for parents that provides an overview of the Developmental, Individual differences, Relationship-based (DIR) model and Floortime. During the course, we will review the theory, research, and practice. Parents will gain an understanding of what Floortime is and why it works so well. We hope you can join us for this six week class. The price for this six week class is $99 U.S. This is a parent peer support program led by D. Brown from Affect Autism, ICDL’s Parent Advocate. She is a parent of a child on the Autism Spectrum and holds a Master’s degree and an Advanced DIRFloortime® Certificate. Parents often feel stressed and confused about how to best help their child on the Autism spectrum flourish and grow. These support sessions are designed to allow for parents to discuss these issues while learning more about Floortime and how a DIR® approach can help their child and their family. Please note: This is not a clinical treatment program. This is a parent-led support service. ICDL strongly encourages parents to also obtain professional clinical support from a DIRFloortime provider. You can search for providers HERE. This is an introductory course specifically designed for parents that provides an overview of the Developmental, Individual differences, Relationship-based (DIR) model and Floortime. During the course, we will review the theory, research, and practice. Parents will gain an understanding of what Floortime is and why it works so well. We hope you can join us for this six week class. The price for this six week class is $85 U.S. This is a parent peer support program led by D. Brown from Affect Autism, ICDL’s Parent Advocate. She is a parent of a child on the Autism Spectrum and holds an Advanced DIRFloortime® Certificate. Engaging and Respecting Autism: A Pathway to Understanding and Engaging a Child with Autism is a 90-minute LIVE ONLINE Introduction to DIR® and DIRFloortime®. This presentation will explore how DIR® and DIRFloortime® can help families and professionals better engage, respect, and understand Autism. Jeffrey Guenzel, MA is a Professional Counselor and the CEO of ICDL and Kathleen Platzman, PhD is a Psychologist, ICDL’s Clinical Director, and Expert DIR® Training Leader. Each presenter brings over 25 years of experience and knowledge. They will be joined by ICDL’s new Parent Advocate, D. Brown. The price for this class is only $10 U.S. This is an introductory course specifically designed for parents that provides an overview of DIR and DIR/Floortime. During the course, we will review the theory, research, and practice. Parents will gain an understanding of what Floortime is and why it works so well. We hope you can join us for this six week class. The price for this six week class is $80 U.S. This presentation will explore how DIR® and DIRFloortime® can help families and professionals better engage, respect, and understand Autism. Jeffrey Guenzel, MA is a Professional Counselor and the CEO of ICDL and Kathleen Platzman, PhD is a Psychologist, ICDL’s Clinical Director, and Expert DIR® Training Leader. Each presenter brings over 25 years of experience and knowledge. They will be joined by ICDL’s new Parent Advocate, Daria Brown. 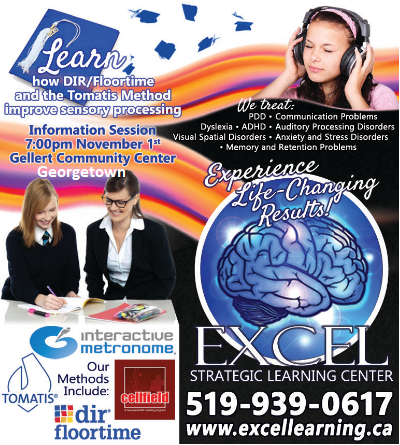 Parent Workshop Learn about the Developmental, Individual differences, Relationship-based (DIR®) model and Floortime. Presented by Ellen Yack & Associates with guest speaker D. Brown of Affect Autism. Registration required. Where? Ellen Yack & Associates, 2700 Dufferin St.
Dr. Gil Tippy Clinical Director of the Rebecca School, a DIR school in New York City will present an information session about the DIR® Model. Open to the Public. Free Admission.